Like many Spanish colonial cities, the historical core of Arequipa is laid out in a grid pattern. Occupying two city grids located three blocks north of Plaza de Armas, the enormous complex of Monasterio de Santa Catalina is the biggest tourist attraction in the city. 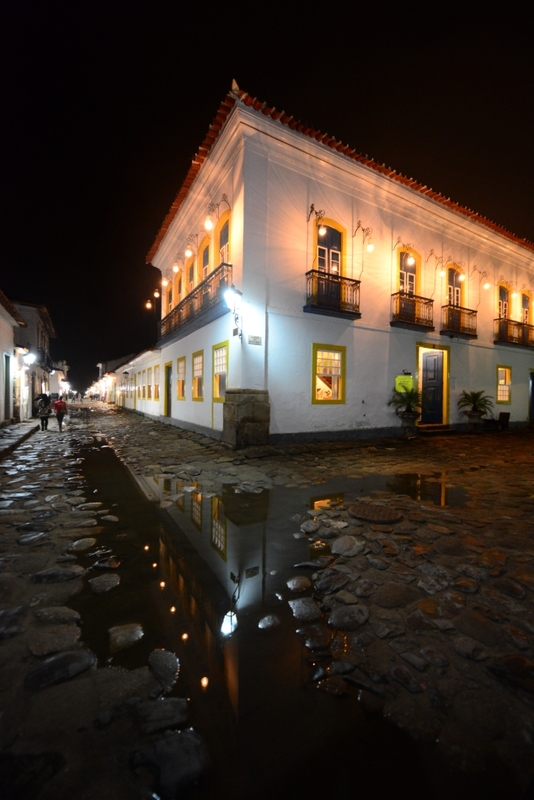 Founded in 1579, the monastery is a nun convent of the Dominican Second Order. Dona Maria de Guzman, a rich widow, was the foundress of the monastery. 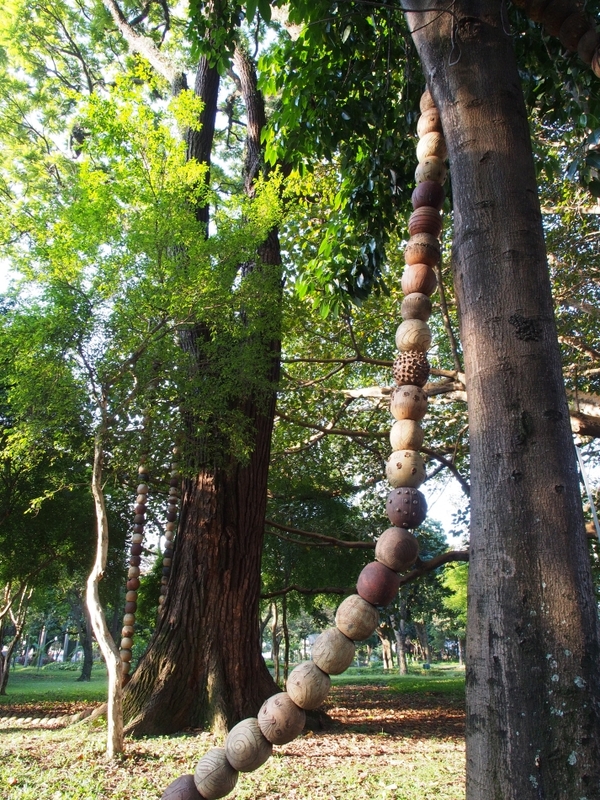 At its peak, the 20,000 sq.m monastery housed about 450 people (nuns and their servants). Many upper class families were willing to pay a large sum of dowry in order to send their second daughters to the monastery as nuns. Nowadays, about 20 nuns still live in a private quarter in the complex. The majority of the monastery has been turned into an open air museum. Monasterio de Santa Catalina is a great example of Spanish colonial architecture with unique local influences. With vivid colours, tranquil cloisters, and centuries of modifications and additions since the earthquake of 1582, the monastery has become a collection of colonial architecture and religious antiques. We spent a good couple of hours wandering in the monastery. The vivid blue, orange, and white walls gave the splendid and solemn architecture some delightful touches that echoed the vibrant colours of native cultures in Peru. A floor plan of the monastery in display showing the extensiveness of Monasterio de Santa Catalina. Cloister of the Orange Trees, one of the main cloisters in the monastery, is decorated with vivid blue walls and religious wall paintings. Frescoes depicting religious stories at the cloister. Fresco and the vivid blue wall by the cloister. Roof drainage and the white washed walls of Monasterio de Santa Catalina. A small court adjacent to the outdoor laundry area in Monasterio de Santa Catalina. Steep exterior steps leading up to the rooftop. Cluster of laundry basins where nuns washed their clothes. Calle Sevilla in the living quarter is flanked by dwelling units for nuns, with the chapel in the background. The vivid orange walls in the nun’s living quarter coupled with stone bench, large roof tiles, and unique roof gutter. An atmospheric pastel coloured street corner and plant decorations looked surreal. Stone inscription above a window opening in Monasterio de Santa Catalina. Antique tools in a kitchen where nuns made their own food, including bread. In almost every kitchen in the complex, there is a ceiling oculus for smoke ventilation and natural light. There are many well preserved antiques in Monasterio de Santa Catalina, including the stone filter on the left and a wooden furniture on the right. Portraits of nuns in a bedroom at the living quarter. View of the living quarter, internal streets and outdoor fountain from the rooftop in Monasterio de Santa Catalina. View from the roof top in Monasterio de Santa Catalina towards the scenery of volcanoes and mountains outside the city. 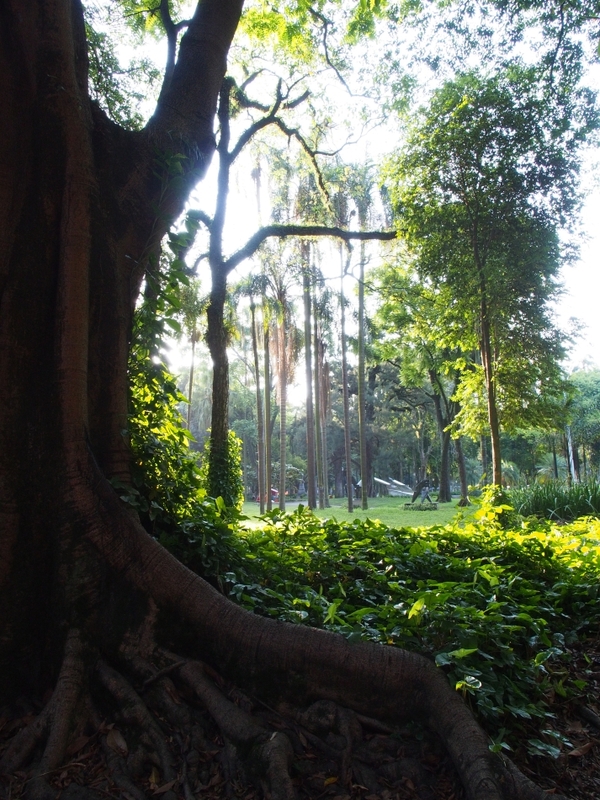 The last 1.5 days in Sao Paulo was an inspiring experience for both of us. It was interesting to see the variety of cultural projects in this complex metropolis, and understand how architecture plays its role in urban regeneration, with its successes and limitations. 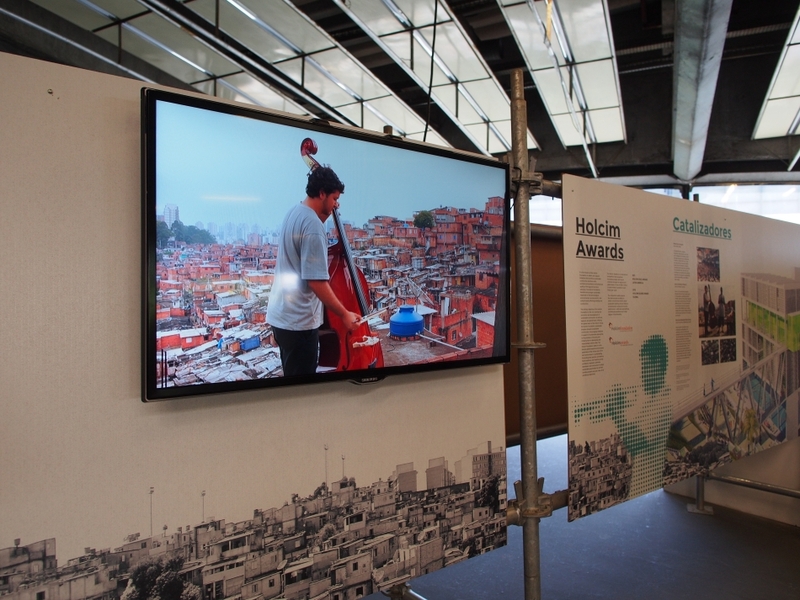 It was equally inspiring to check out X Architecture Biennale Sao Paulo, where a number of design proposals were shown aiming to tackle some really complicated issues in contemporary cities, from Brazilian favelas to Chinese ghost towns. 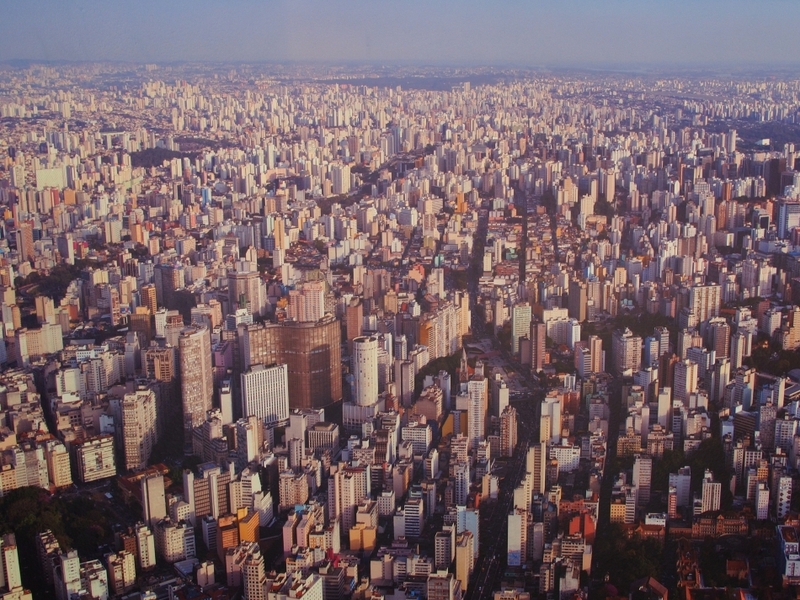 The visit of Sao Paulo concluded our journey in Brazil. 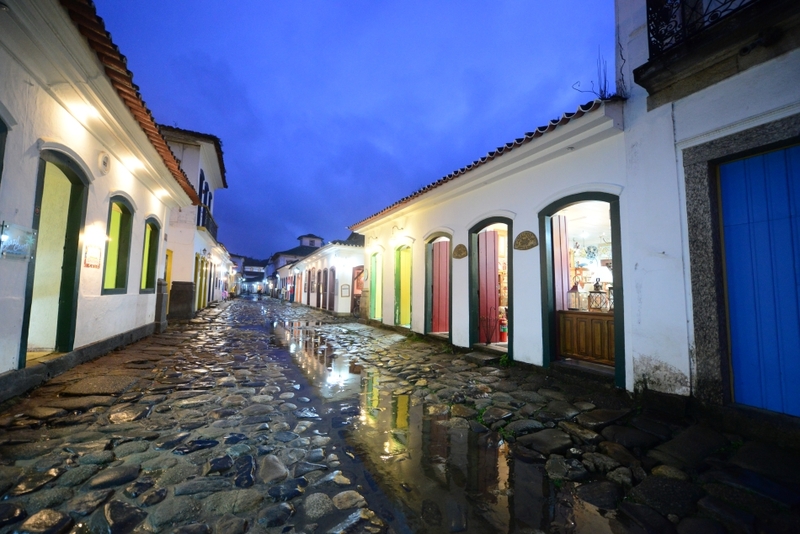 Impressive waterfalls, diverse wildlife, breathtaking landscapes, modernist architecture, colonial towns, vibrant metropolis and fine beaches represent our Brazilian experience. 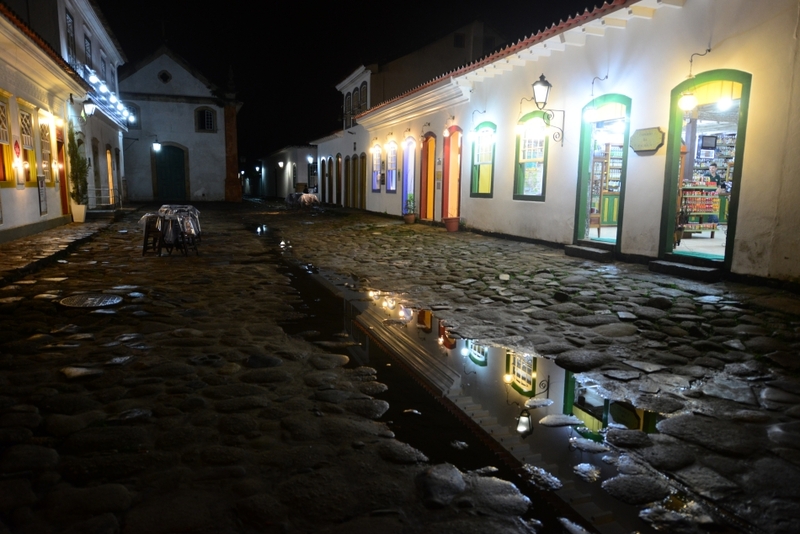 We will certainly miss Brazil. 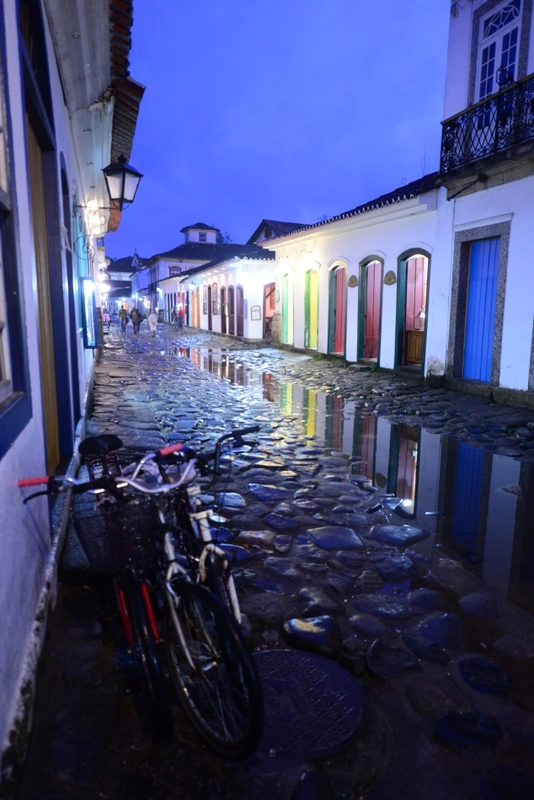 Next stop on our journey – Bolivia! 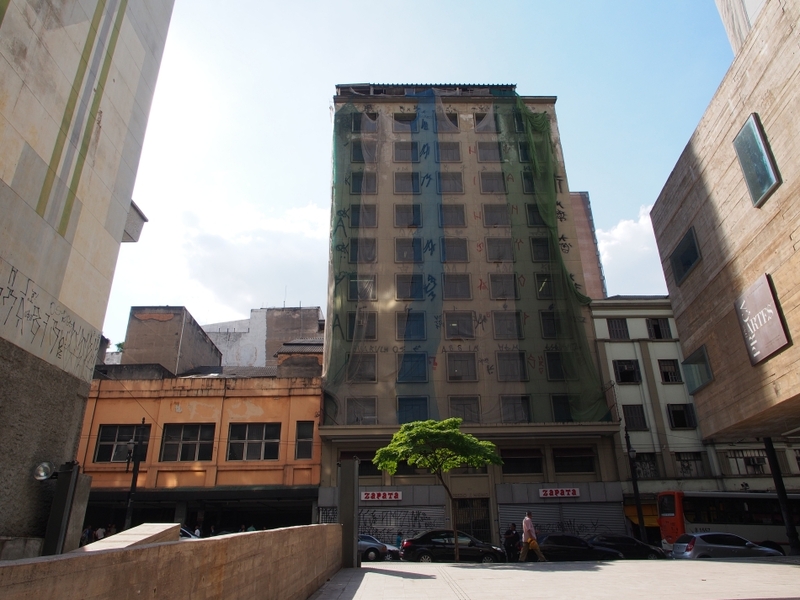 The Luz area was once an important commercial area of Sao Paulo during early 20th century when coffee was still the single most dominating business in the city. Since then, most of the commercial activities, including the coffee barons, had moved elsewhere in the city. 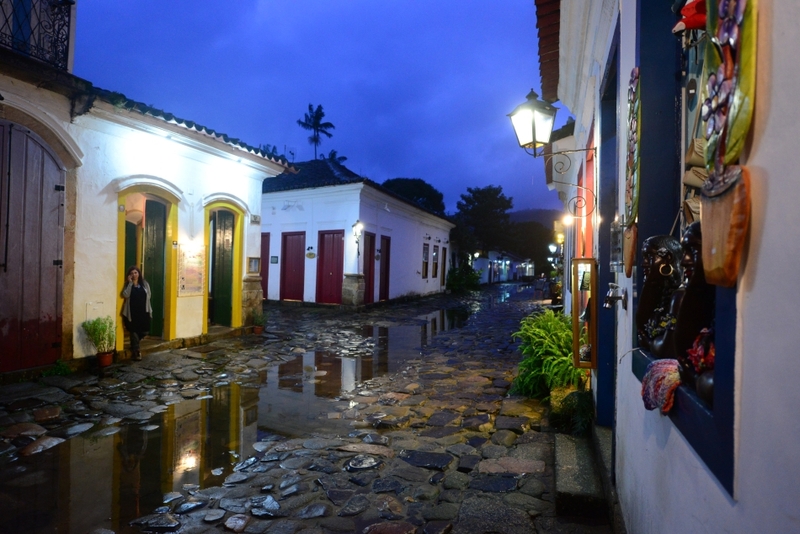 Today the Luz area awaits for its turn of revitalization after decades of decline. Historical buildings and churches in Luz all seem a little neglected and most were vandalized with layers of graffiti. 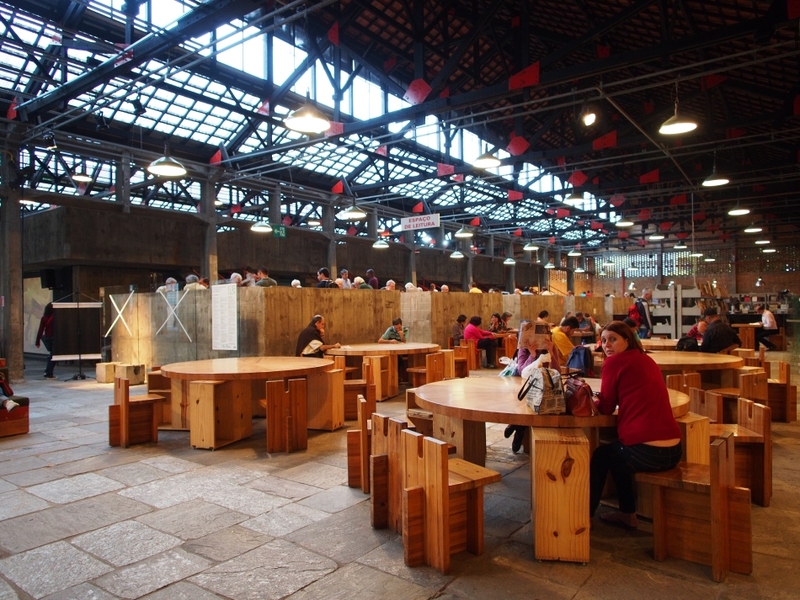 In recent years, the municipal government began to regenerate certain spots in Luz, including renovating the Luz Station, the Pinacoteca do Estado, and the Jardim da Luz. 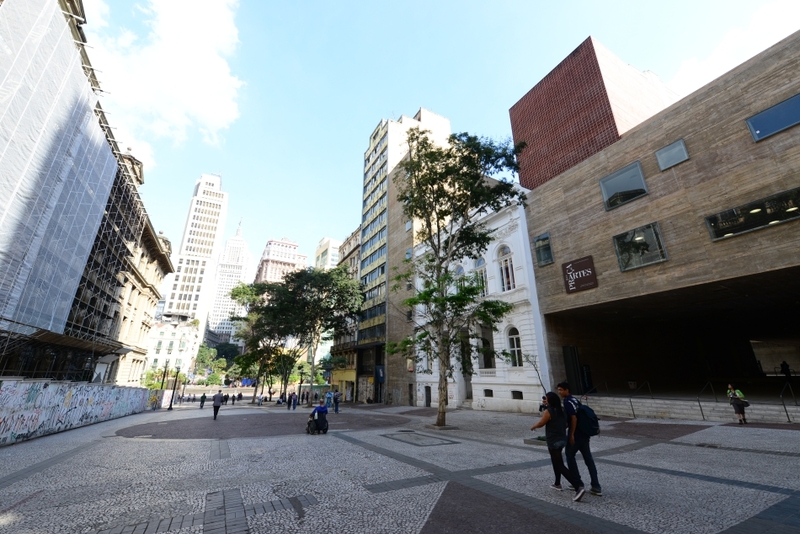 Before heading to Luz, we stopped by the newly built Praca de Arte, a cultural complex in the heart of the old downtown Sao Paulo. 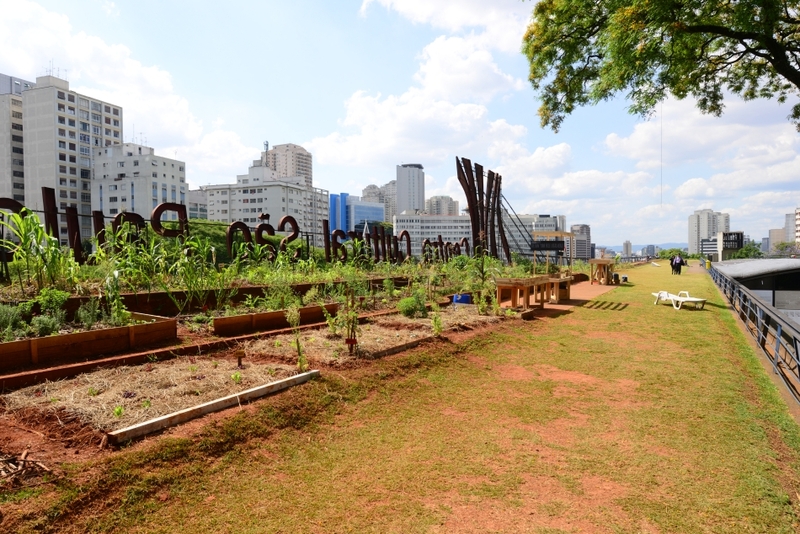 The project represents another effort to revitalize the downtown of Sao Paulo. 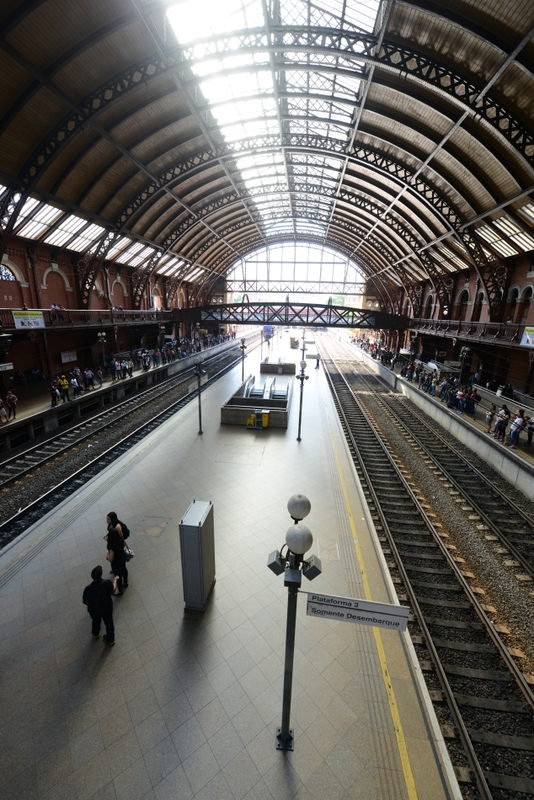 15-minute walk from Praca de Arte got us to the Luz Station. 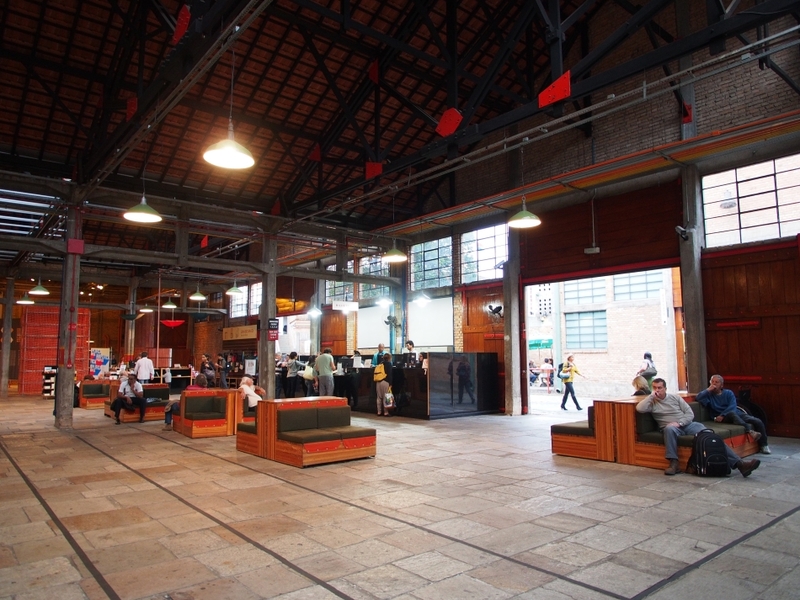 The Luz Station was the most important railway station in Sao Paulo when the coffee industry dominated the area of Luz. Now, it houses a museum and serves a few commuter trains to the suburbs. 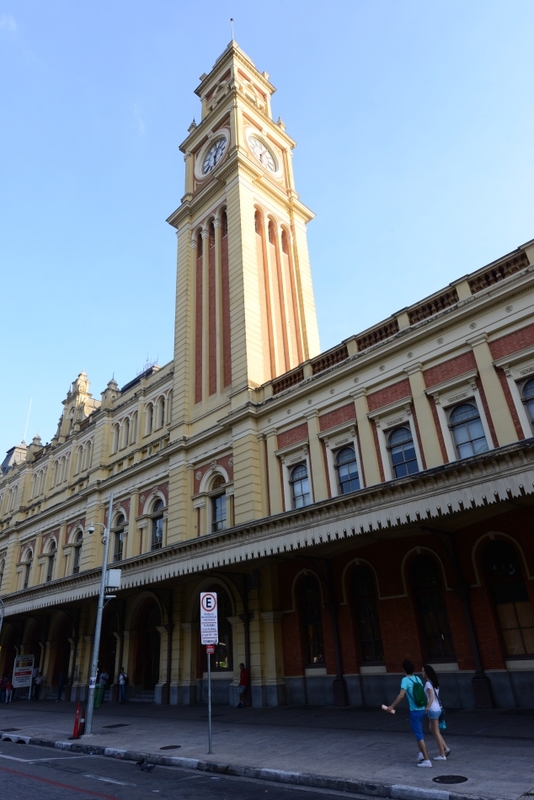 Designed and fabricated in England, the Luz Station and its clock tower was an icon of Sao Paulo in early 20th century. 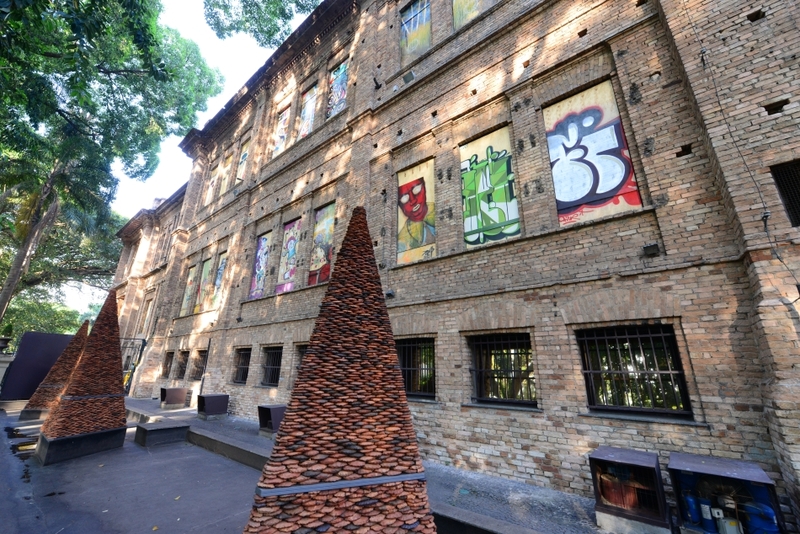 Across the street from the station stands the Pinacoteca do Estado, Sao Paulo State’s oldest art museum that underwent a renovation by architect Paulo Mendes da Rocha in the 1990s. 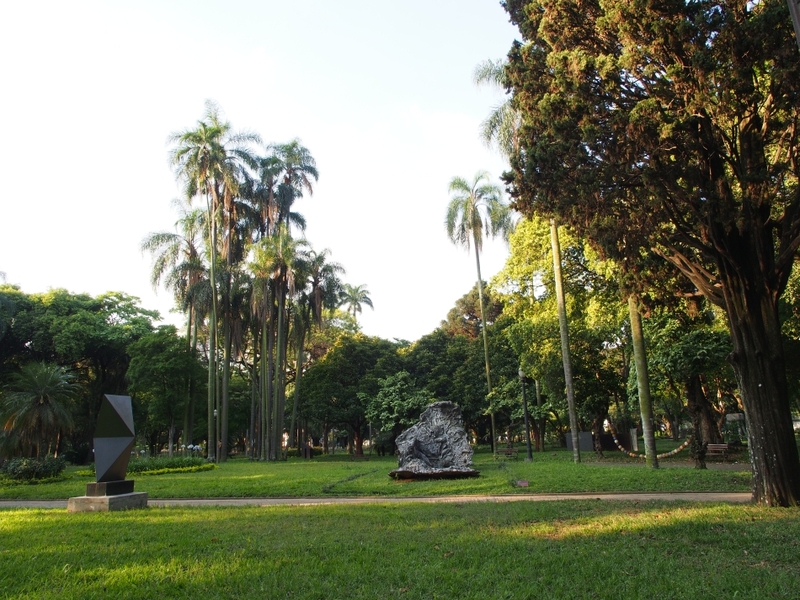 The adjacent Jardim da Luz also went through a significant transformation in recent years from a seedy area where drug dealers and prostitutes hang out to a relaxing sculpture garden adjacent to the art museum. 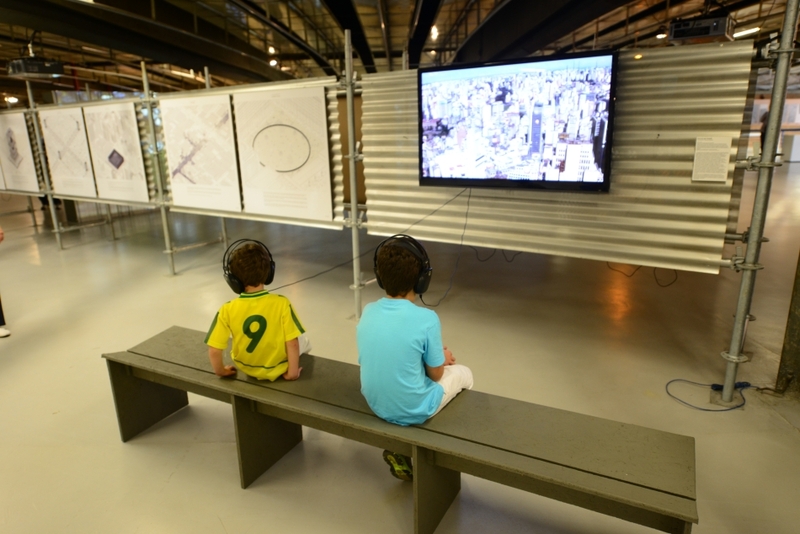 Knowing that we would be visiting Sao Paulo at the time of the architecture biennale was a delightful surprise when we planned our trip. 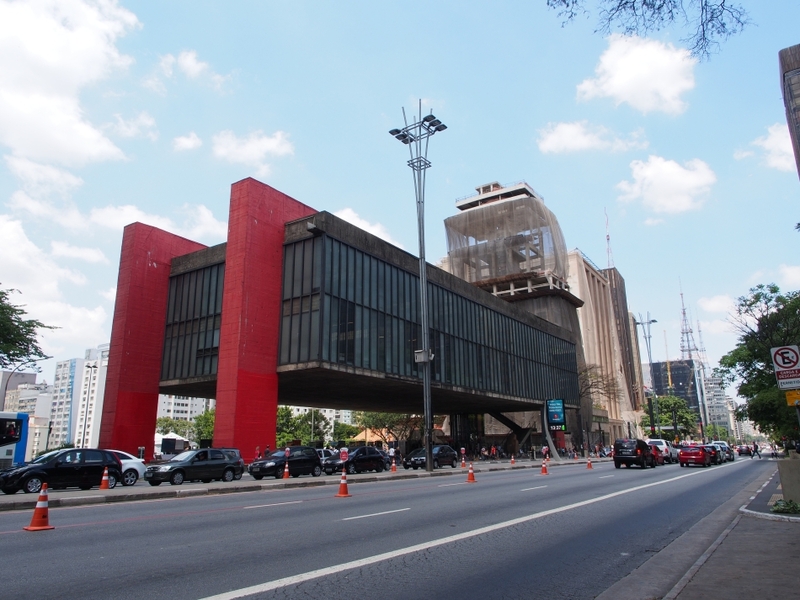 After visiting two smaller biennale exhibitions at the SESC and MASP, today we spent the afternoon at the Cultural Centro Sao Paulo (CCSP), one of the bigger biennale venues. 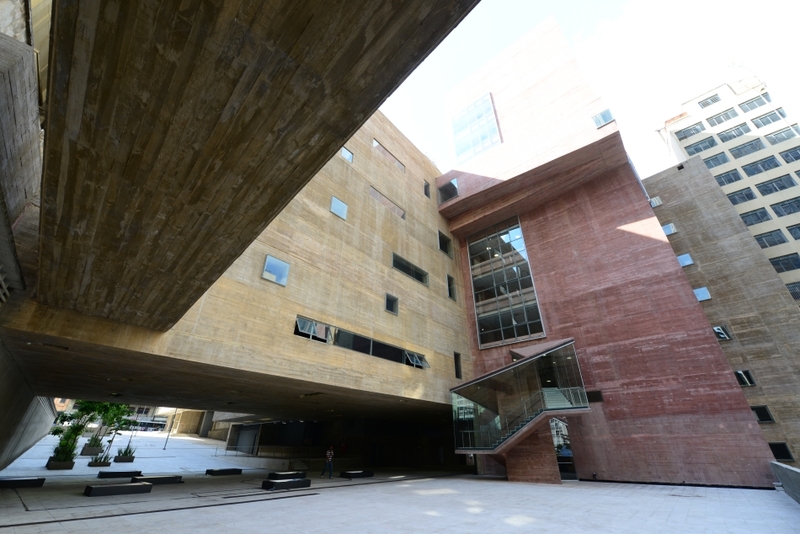 When we entered the cultural centre, we were delighted to find that CCSP itself has its own merits architecturally. 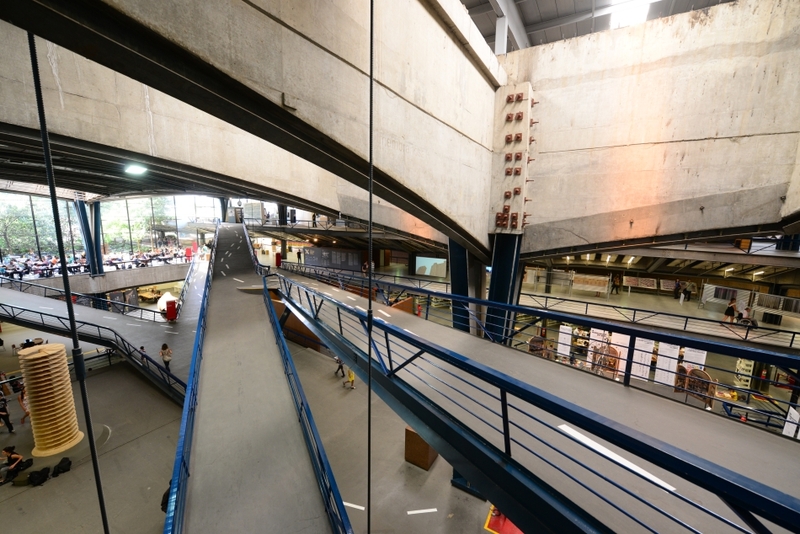 Designed by Eurico Lopes and Luiz Telles, the CCSP is famous for its prominent structural system and the impressive ramps in the main hall. 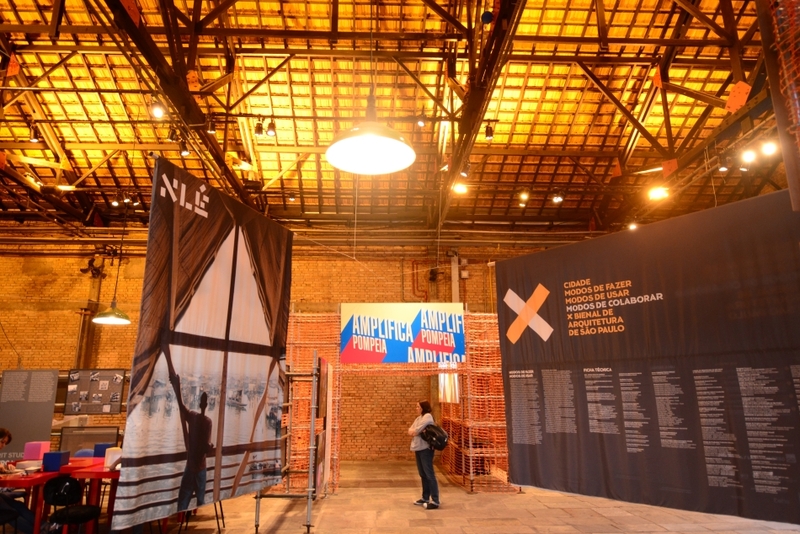 Located on three levels of exhibition spaces, we took our time checking out some of the interesting projects on display for the X Architecture Biennale Sao Paulo. Other than the visitors of the biennale, there were also people engaged in different activities throughout the complex: street dancing at the foyer, ballet rehearsal in an open studio, chess tournament at the covered plaza, studying and reading in the library, resting on the roof-top patio, etc. 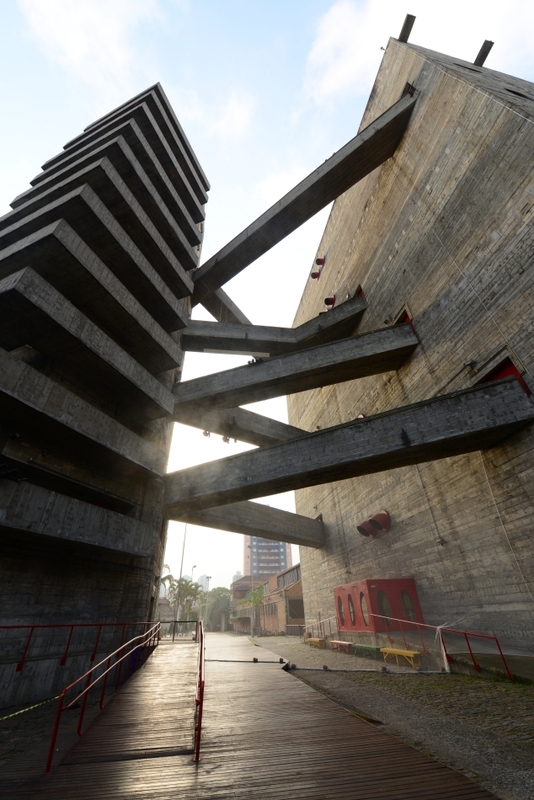 Museu Arte Sao Paulo (MASP) at the famous Av. 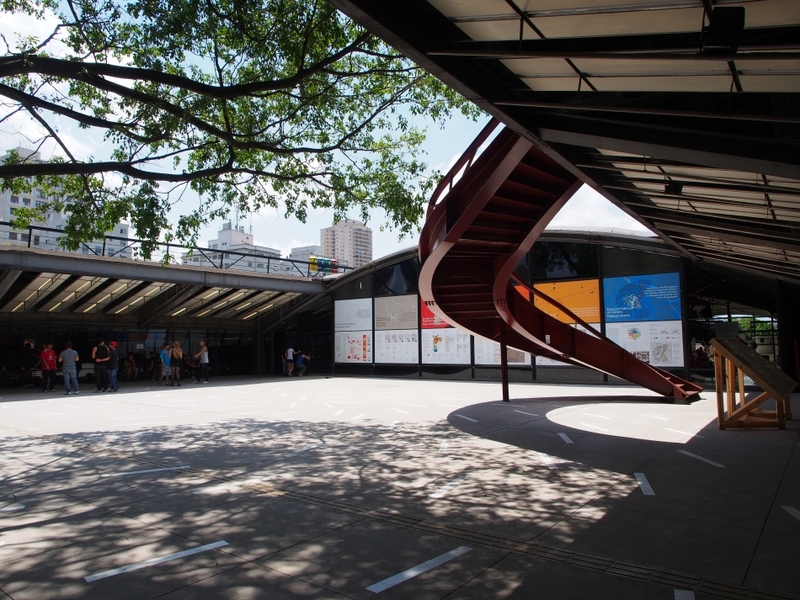 Paulista was the second architectural project by Lina Bo Bardi we visited in the city. 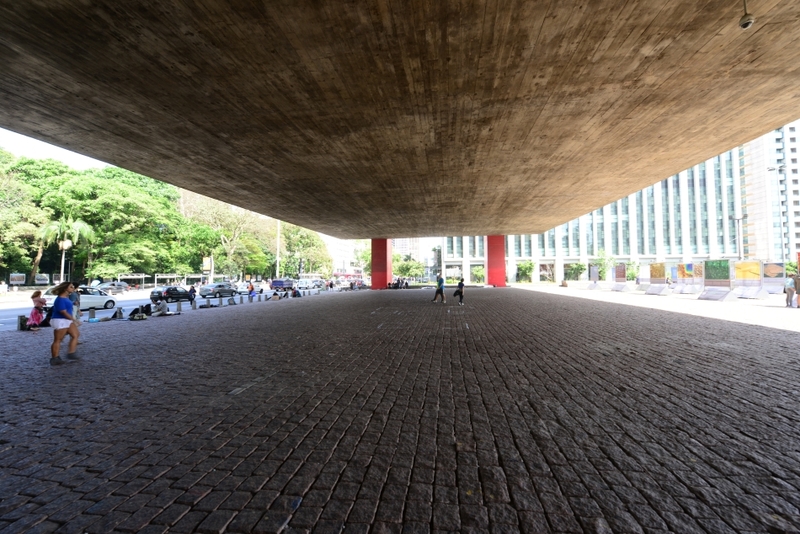 Inaugurated in 1968, MASP building was a revolutionary project at the time of its completion. 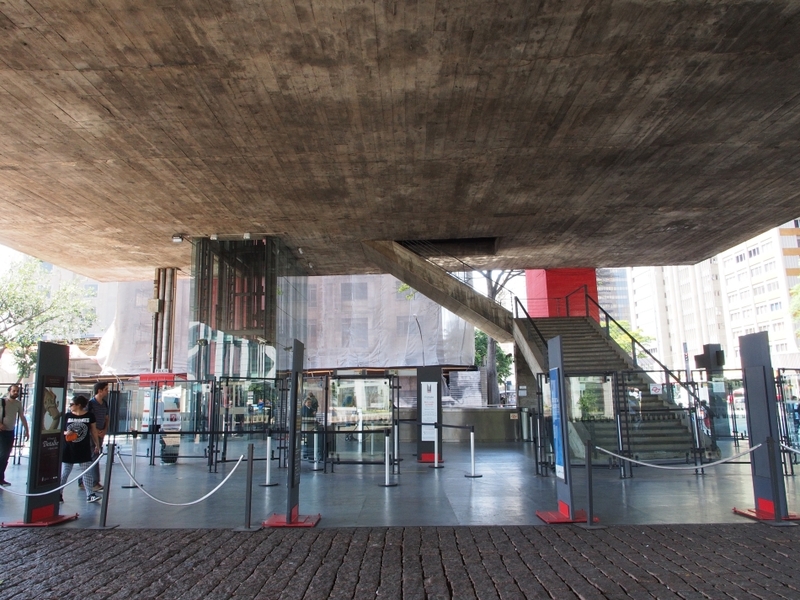 From the street, MASP appears like a huge concrete and glass box suspended by four pillars and two prestressed concrete beams, leaving the ground level below the box completely open. 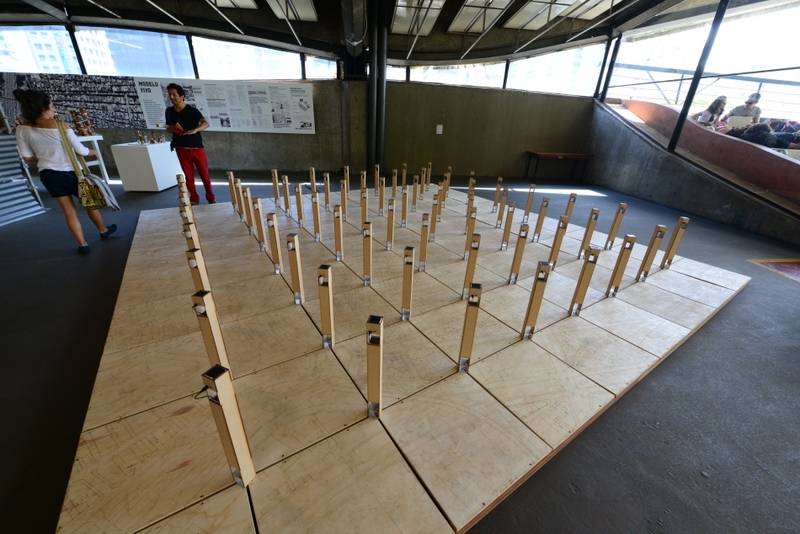 Except the ticket office and a vertical circulation core, the ground level serves as a unique public plaza, linking the street to a lookout platform at the back. Among the skyscrapers of Av. 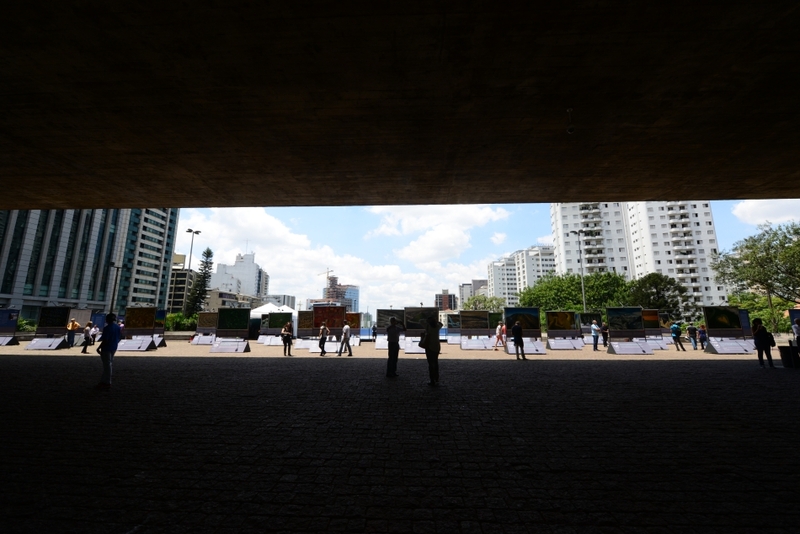 Paulista, the openness of the museum plaza offers a unique space for public gathering and hippies selling jewelries. The glass elevator brought us to the exhibition gallery at the top level. 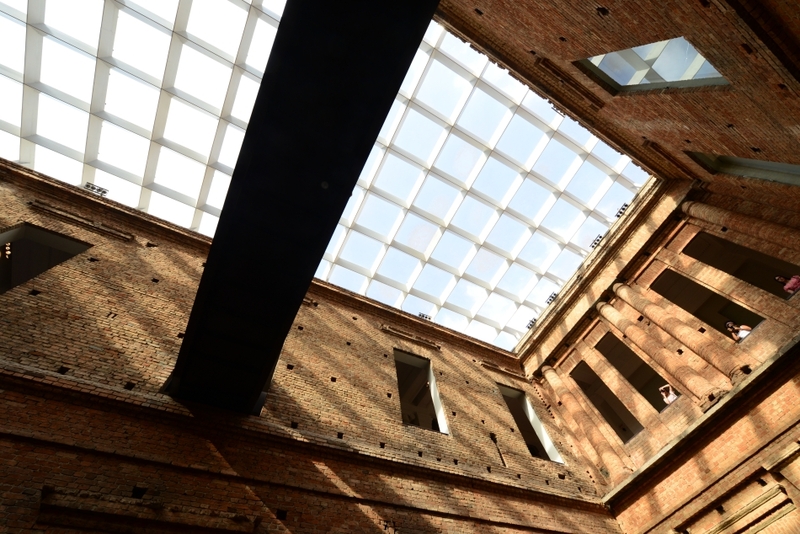 In Bo Bardi’s original design, each level of the museum would serve as a single exhibition gallery, with artwork displayed without the use of partitions. 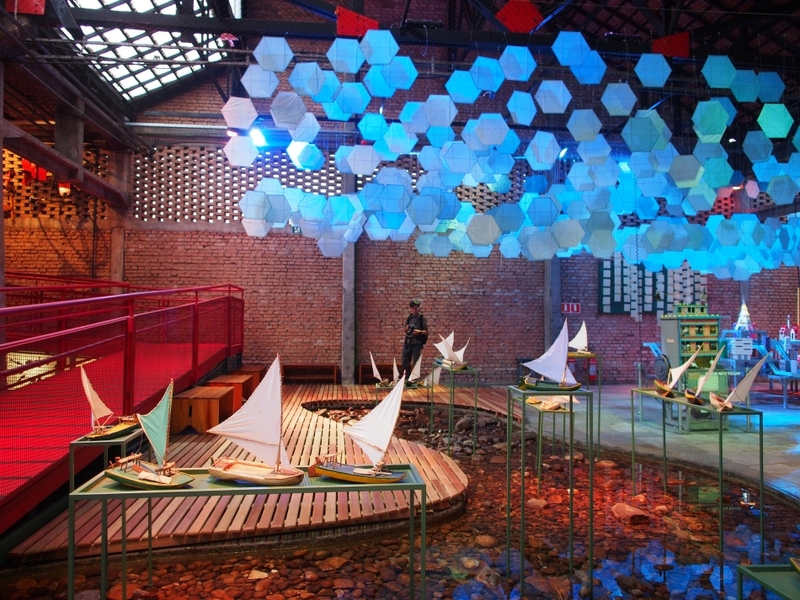 Over the years, this concept proved to be too challenging for curators and exhibit designers. 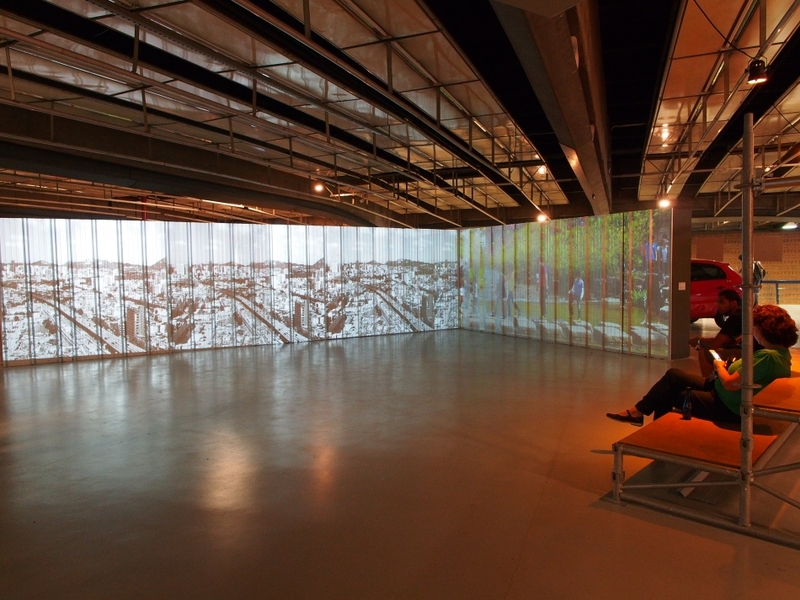 Today, temporary partitions are used for displaying artworks and controlling visitor’s circulation. 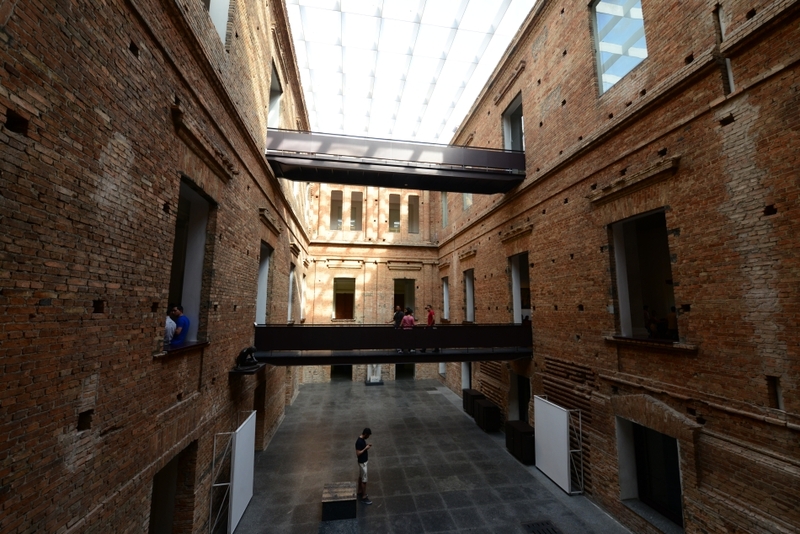 During our visit, we saw four shows on display: the museum’s permanent collection, a retrospective show of artist Lucian Freud, a photography biennale, and an exhibition as part of the X Architectural Biennale Sao Paulo. 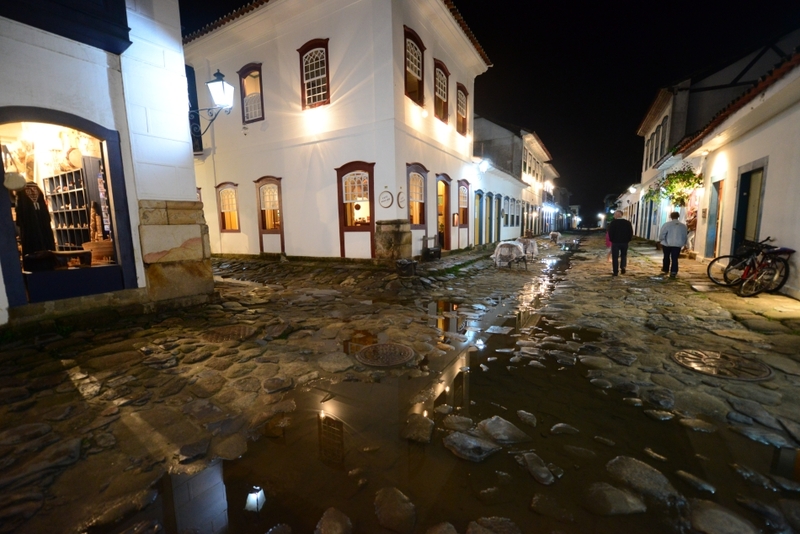 It was already mid afternoon when we arrived in Sao Paulo. Seeing architecture would be our main focus for our short stay in the city. 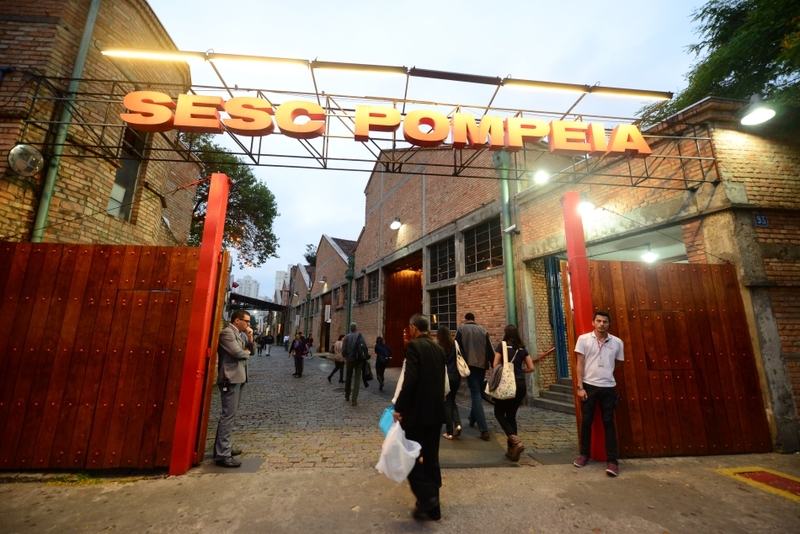 Our first destination was SESC Pompeia (Servico Social do Comercio of Pompeia in Sao Paulo). 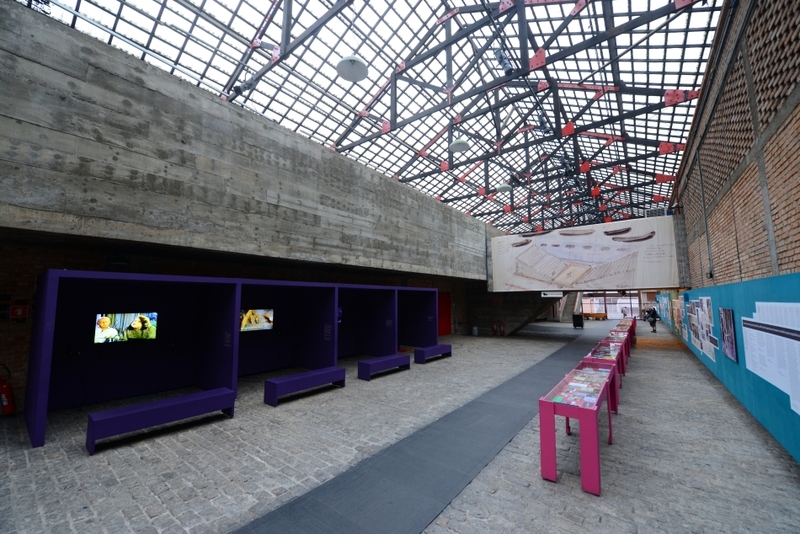 The SESC Pompeia is a cultural centre located in a residential neighbourhood near the metro station of Barra Funda. 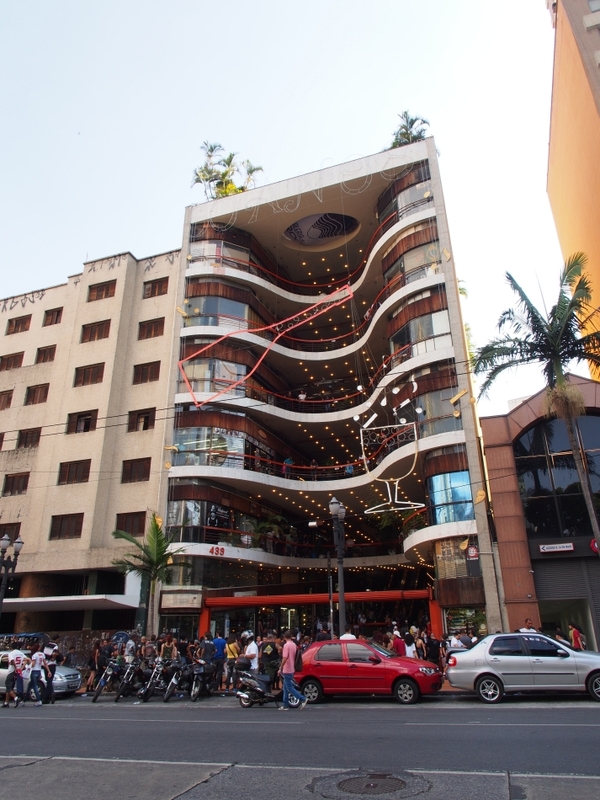 Designed by the renowned architect Lina Bo Bardi in early 1980s, the project is a successful example of a multi-functional architectural complex. 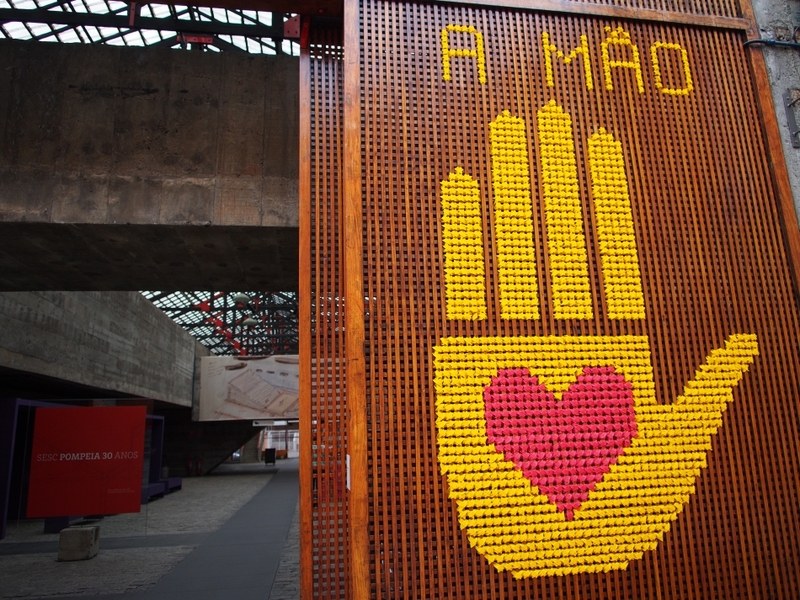 In contrast to the monumental buildings in Brasilia or the playful architecture in Rio de Janeiro, many projects in Sao Paulo are social oriented. 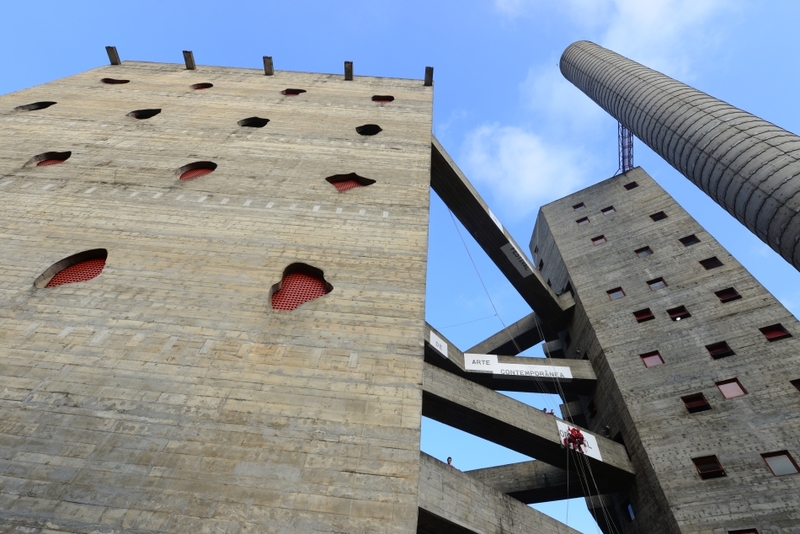 The project involves transformation of a number of historical buildings into cultural spaces, and an addition of sports tower with a modernist concrete tower and multiple expressive sky bridges. 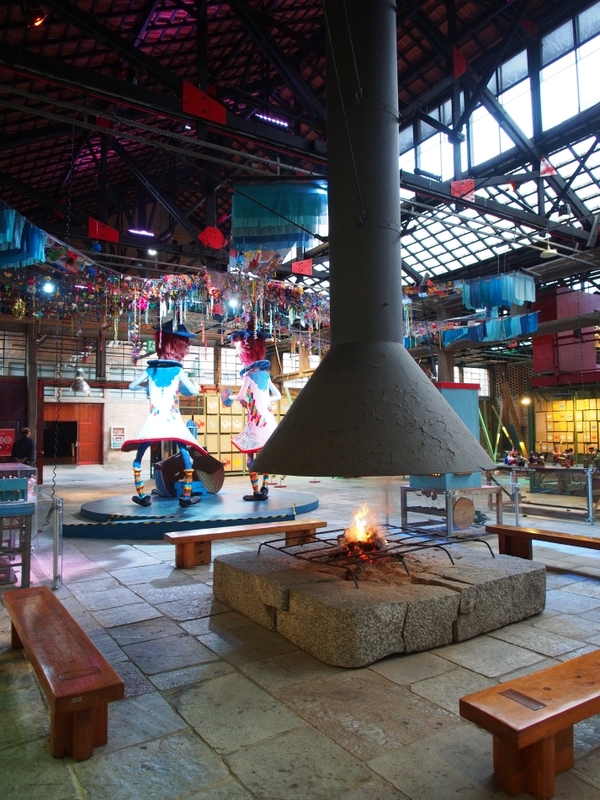 Functionally, the complex offers a diverse program to the local community, from theatrical performances, cultural exhibitions, library, reading rooms, event spaces, cafeteria, to an indoor swimming pool and a number of indoor football courts. 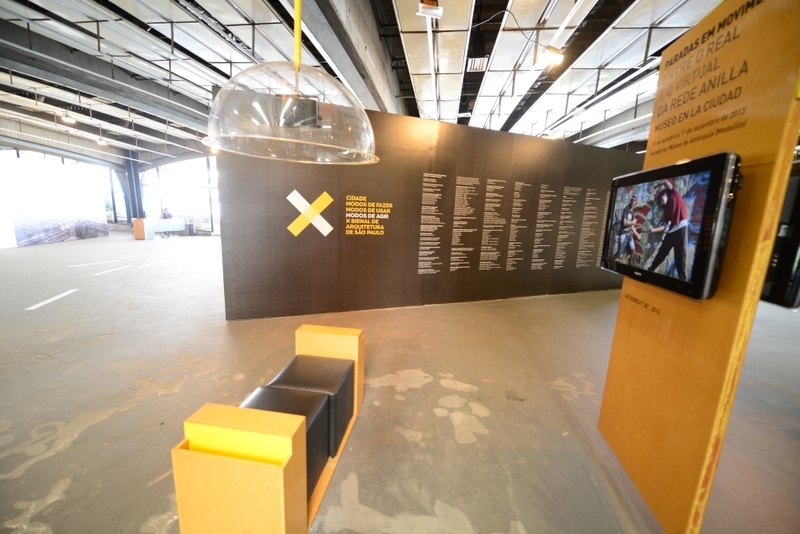 All cultural spaces are housed in the adaptive reused historical buildings, while the sport facilities are stacked in the new concrete tower. 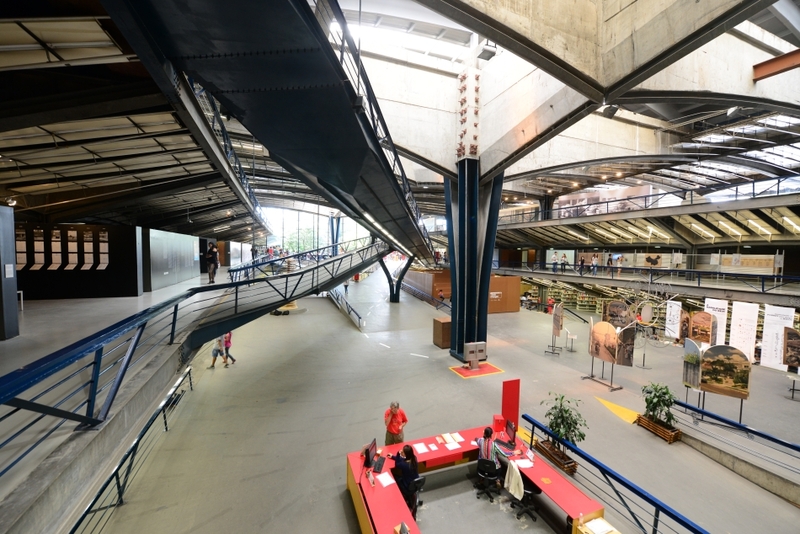 When we were there, SESC Pompeia was filled with people at all ages engaging in various activities: dining at the outdoor patio, reading in the library, checking out the cultural exhibitions, going to the gym and swimming pool, etc. We even saw a group of artists doing some filming, and a group of technicians preparing a banner on one of the concrete sky bridges at the tower for the next cultural festival. 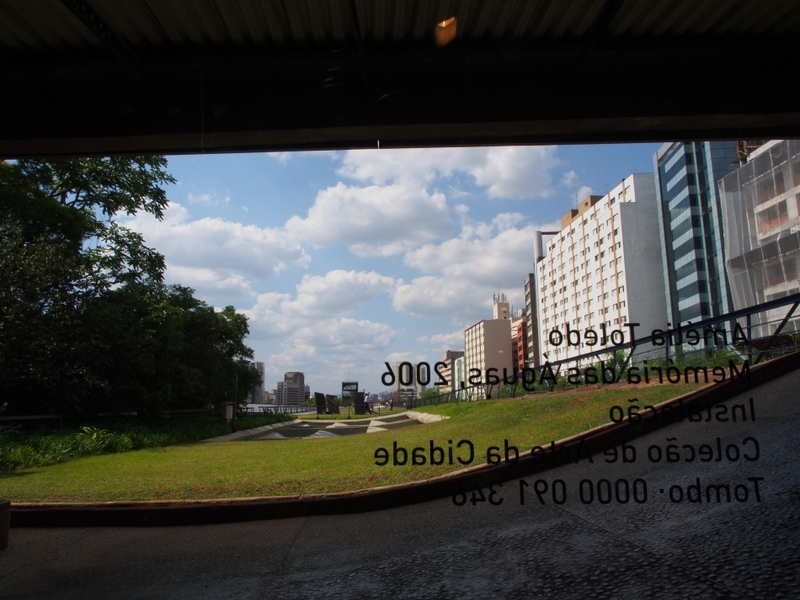 The three current exhibitions at SESC were good introduction to the cultural scene of the city for both of us.